The conservation of key wetlands for migratory waterbirds, such as by designation as ‘Ramsar Sites’ [link] under the Ramsar Convention on Wetlands or as ‘Flyway Network Sites’ [link] under the East Asian – Australasian Flyway Partnership, can play an important role in climate change mitigation and adaptation. Each year, about 50 million waterbirds, such as cranes, ducks and shorebirds, migrate along the East Asian – Australasian Flyway (EAAF), between their breeding sites from as far north as Alaska and the Russian Far East, to their non-breeding sites as far south as Australia and New Zealand. These migratory waterbirds depend upon a series of habitats, often wetlands, to breed, to stop over for rest and refuel during migration, or to stay during the non-breeding season. The conservation of these migratory waterbirds therefore depends on the conservation and sustainable use of these wetland habitats that they depend upon, that includes coastal ecosystems (e.g. tidal-flats, mangroves), floodplains, lakes and marshes, as well as peatlands. Unfortunately, many of the key wetlands used by migratory waterbirds in the EAAF have been reclaimed or degraded in recent decades due to raid economic development. For example, 28% of the tidal flats round the Yellow Sea that existed in the 1980s, had disappeared by the late 2000s (Murray et al. 2014) mainly due to reclamation. These wetlands that have been lost are important not only for migratory waterbirds but also, provide a range of essential services for people (e.g. water, livelihood, flood control) and the environment (e.g. nutrient cycling). Many of the coastal wetland ecosystems that many migratory waterbirds depend upon play an important role in carbon sequestration (the process of removing carbon from the atmosphere and depositing it in a reservoir) and therefore, climate change mitigation. Data shows that these “blue carbon’ ecosystems can store more carbon than tropical rainforests. It has been estimated that oceanic mangrove forests may store 2.8 time more carbon than tropical forests [link]. 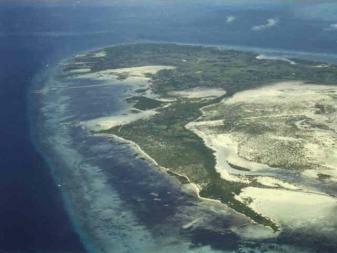 An example is the Olango Island Ramsar Site and EAAFP Flyway Network Site. 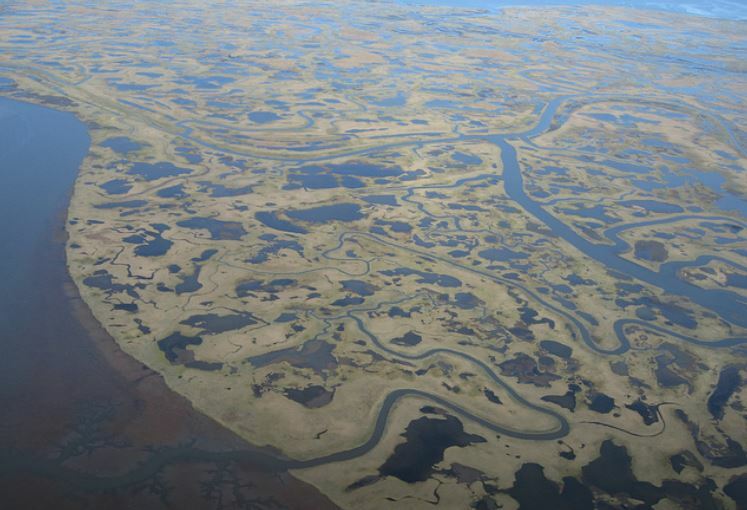 Many of the high latitude peatlands where migratory waterbirds breed also play an important role in carbon storage, such as the Yukon Delta National Wildlife Refuge (Alaska). Conservation of wetland habitat for migratory waterbird also play a role in climate change adaptation. The coastal mangroves that are important for carbon storage, are also important in reducing shoreline erosion from sea level rise and buffering the impacts from storms surges. Inland wetlands, such as the commercial fishponds in the Deep Bay wetlands (Hong Kong, China), which are included in the Ramsar Site and EAAFP Flyway Site Network, are an important habitat for waterbirds, especially in the winter when they are drained down for harvesting and can also store up to 25% of the annual rainfall. They therefore help to reduce the impact from flooding due to typhoons and sudden heavy rainfall. The conservation of migratory waterbirds through the designation of areas such as Ramsar Sites and Flyway Network Sites can therefore also indirectly support efforts against climate change! Further reading about the impact of climate change to migratory shorebirds, click [here], and more about the importance of wetlands to mitigate climate change, click [here].